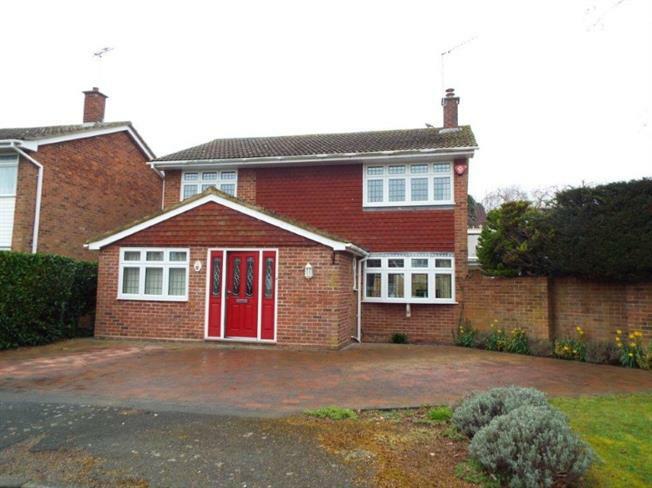 4 Bedroom Detached House For Sale in Clacton-on-Sea for Guide Price £335,000. We are delighted to offer this immaculate family home which has been extended by the current owners. The property occupies a large corner plot which could be separated and possibly part sold on as a building plot (subject to planning). The house itself has a large kitchen/diner with a modern fitted kitchen and island, living room, conservatory and office/snug. On the first floor are four bedrooms and modern bathroom. Outside the rear garden has a large patio, fish pond with Koi Carp and summer house with the front providing off street parking for a number of vehicles. Internal viewing is essential. The overall plot measures 110ft x 95ft max. The rear garden is mainly laid to lawn with large patio area and flower and shrub beds, Kio pond with pump, garden shed and summer house to remain, outside tap and outside lights. The front has a block paved driveway providing off street parking, lawn area to side, flower and shrub beds, outside lights.